The suspected gunman in the Florida school massacre was questioned by a police officer in November after a woman he was living with at the time called 911 to report he had threatened to use a gun on her 22-year-old son, according to records obtained by ABC News. The report from the Palm Beach County Sheriff's Office is just the latest in a string of red flags concerning Nikolas Cruz' volatility that law enforcement, school officials and mental health experts were notified of prior the Valentine's Day attack at Marjory Stoneman Douglas High School in Parkland that left 17 people dead, including 14 students. 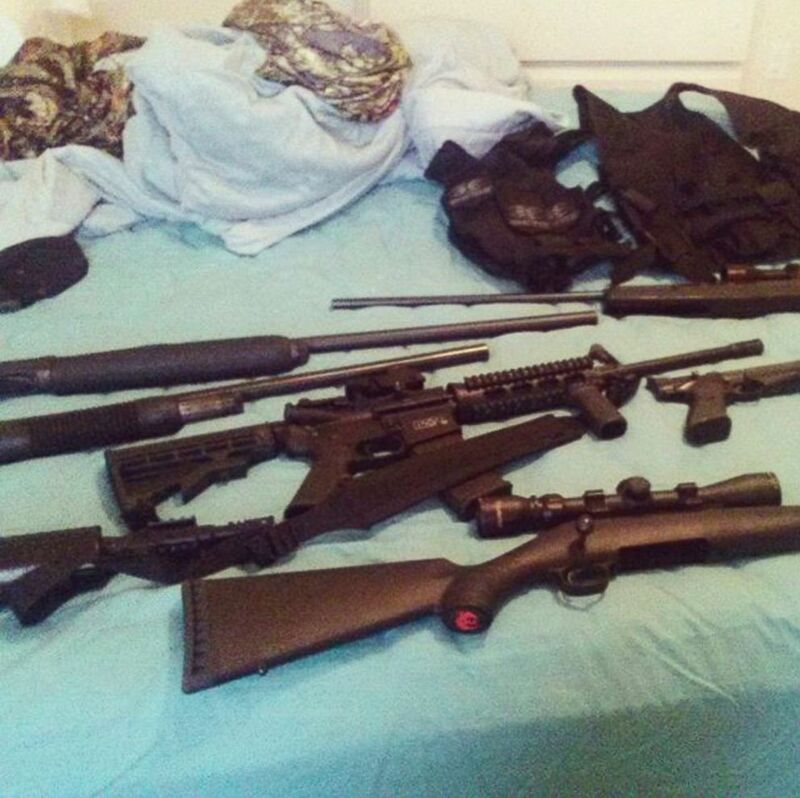 This photo posted to Nikolas Cruz's Instagram account shows weapons lying on a bed. The Palm Beach County Sheriff’s offense report from Nov. 29 shows that a woman who initially took Cruz in after his mother's death in November, called 911 to complain that Cruz had gotten into an altercation with her son in her Lantana, Florida, home and threatened to get a gun and come back. “[He] bought a gun from Dicks last week and is now going to pick it up,” the woman told a 911 dispatcher, according to a log of the call contained in the report. While the name of the 911 caller was redacted in the report, ABC News has learned that, at the time, Cruz was living with Rocxanne Deschamps, a family friend who took him and his younger brother in after their 68-year-old adoptive mother, Lynda Cruz, contracted pneumonia and died on Nov. 1. 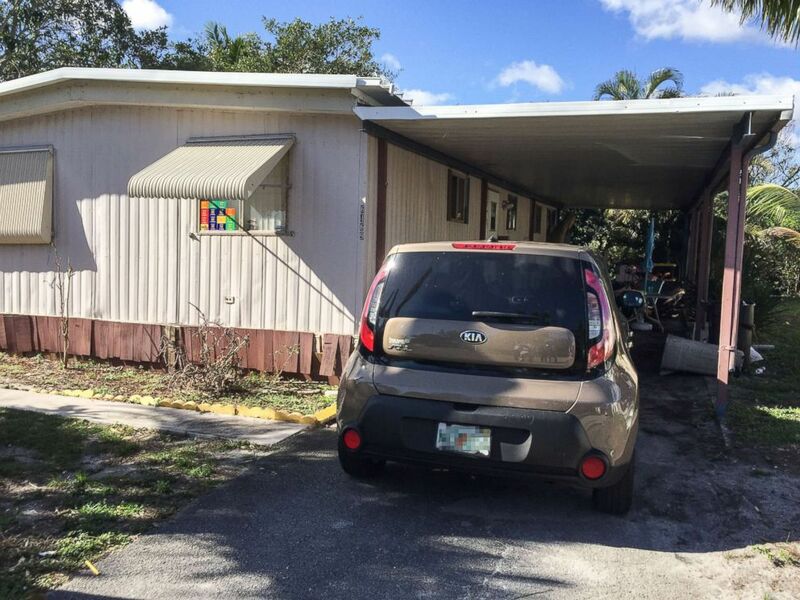 The home that was searched in Lantana Cascades where shooting suspect Nikolas Cruz supposedly lived at for a period of time, Feb. 15, 2018, in Parkland, Fla. Deputies arrived around 6 p.m. last night, along with a bomb squad unit. The son said Cruz punched him in the left side of his jaw as he attempted to calm Cruz down, according to the report. He told the officer he punched Cruz back in "self-defense" and attempted to restrain him before Cruz bolted from the residence, the report says. The officer found Cruz in a nearby park and described the 19-year-old as being “nervous and calm," according to the report. Cruz told the officer he had become upset and punched a wall after losing a picture of his late mother. “He said he was sorry for losing his temper,” according to the officer’s report. There were no references to guns in the officer’s narrative, but the dispatch notes indicate that Cruz told police there were guns inside the home. Ultimately, the son told police he did not want Cruz arrested and signed a "refusal to prosecute" form, according to the officer's report. But the son expressed that he wanted Cruz to leave the residence until he calmed down, according to the report. He said Cruz "has been going through a lot with his loss” and he “did not want him to go to jail” the report states. 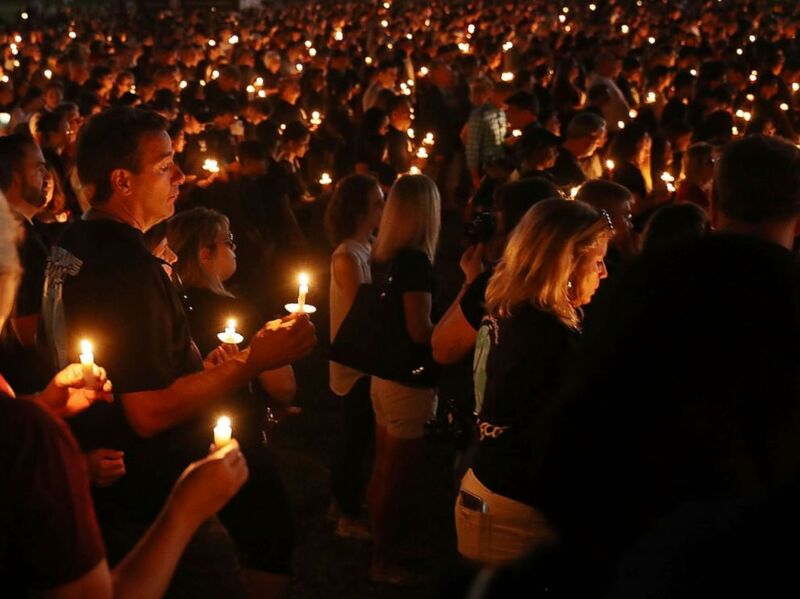 People attend a candle light memorial service for the victims of the shooting at Marjory Stoneman Douglas High School that killed 17 people, Feb. 15, 2018, in Parkland, Fla. The officer’s report concludes that the son and Cruz hugged to reconcile their differences, and the case was cleared with no arrest or charges filed. Cruz moved out of Deschamps' home around the time of the altercation and went to live with James and Kimberly Snead, the parents of a friend. In documents filed in Broward County probate court the day after the Feb. 14 mass shooting, Deschamps' attorney, Audra Simovitch, petitioned to have Deschamps appointed a personal representative of Lynda Cruz's estate, claiming an interest in the estate "as a family friend ... who is caring for a 50% minor beneficiary," meaning Cruz's younger brother. Simovitch declined to comment on the probate motion. But in a court document filed today, she asked a judge to allow her to see Cruz in jail and that she was retained by Cruz on Dec. 13 to represent him in the probate matter. Deschamps also signed the retainer agreement and was named as the "proposed personal representative" for Cruz and his brother, according to the document. The Sneads claimed that Nikolas Cruz told them he stood to inherit in a few years at least $800,000 from his deceased parents' estates, the couple's attorney, Jim Lewis, told ABC News. Cruz's adoptive father, Roger Cruz, died in 2004 at the age of 67. As investigators dig into Cruz's background, more and more instances have emerged in which state and federal officials had been in contact with Cruz or were alerted of his violent behavior prior to the mass shooting. The growing list of warning signs either detailed by public statements from officials or public records, includes an admission by the FBI that a tip it received on Jan. 5 warning that Cruz might be planning a "school shooting" and detailing his guns, was not passed on to its Miami field office and was never investigated. A report in August 2016 by the Florida Department of Children and Family shows the agency investigated a Snapchat post in which Cruz was seen cutting his arms and was told by Cruz that he "plans to go out and buy a gun." The agency determined Cruz "to be stable enough not to be hospitalized," according to the DCF report. DCF said in a statement it "relies on the expertise of mental health professionals and law enforcement and these records show that DCF took the steps to involve these partners in investigating this alleged abuse."